Sir John Soane’s Museum is the great architect’s ‘house, museum and library’, preserved as a public museum since his death in 1837. 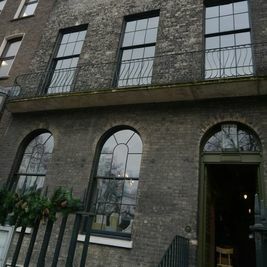 Renowned neo-liberal, 19th century architect Sir John Soane bought, demolished and rebuilt three houses on the north side of Lincoln’s Inn Fields, near Covent Garden in the heart of London, No. 12 (1792-94), No. 13 (1808-13) and No.14 (1824). No. 13, the central house in the row of three, was the one he moved into. The museum is intimate yet atmospheric whilst being filled with his collection of artworks, sculptures, furniture and artefacts. 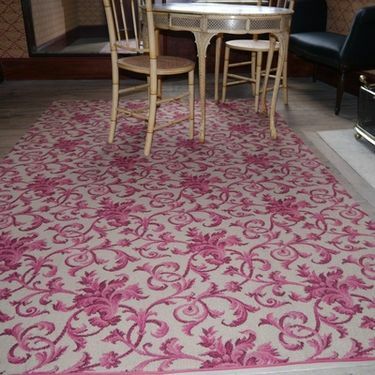 The Museum recently undertook a major project to restore the private rooms of Soane and his wife and Historic Carpet Research helped in this restoration by working closely with Brintons’ archivist. Our archives were the source of a design for Sir John’s bedroom and other rooms on the second floor that was as close as possible to the carpets Soane chose for these rooms. 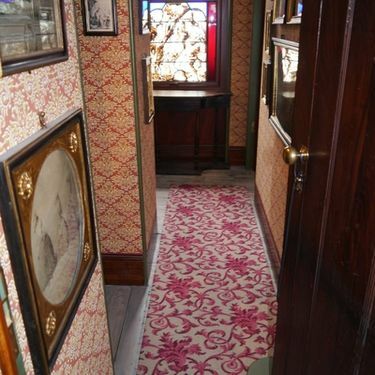 Two contemporary watercolours of the bedroom and bathroom were the only guide to work with when deciding upon a new design, as none of the original carpet remained in the Museum. 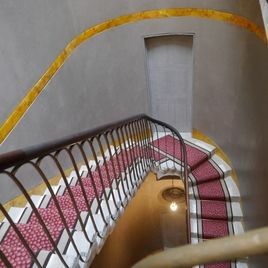 The restoration was awarded the annual Georgian Group Award for the ‘Best Restoration of a Georgian Interior’ in December 2015. We love to support the future of design and this year we've continued to collaborate with Birmingham City University (BCU) and support their textile degree students with final year projects. 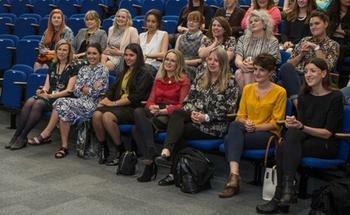 The BCU textile students showcase is the culmination of three years of study from their graduating students. The work on display is very diverse and highly individual, from concept to actualisation, representing the future career aspirations and developed aesthetic of the students. BCU invited our Marketing and Design teams to the School of Fashion and Textiles Graduate Show and asked us to award a prize for Design Innovation. 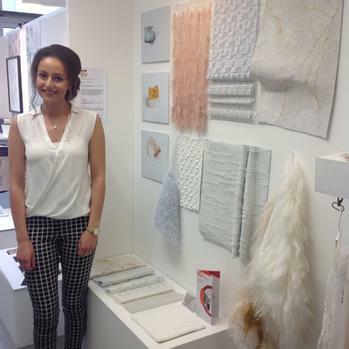 The team selected Kayleigh Jones, BA (Hons) Textile Design (Constructed Textiles) work. The project was titled 'Puff, Powder, Gloss - cosmetic tactility'. Kayleigh created a collection of seductive, evocative and inspiring material concepts, influenced by the materiality of cosmetics. This explorative body of sophisticated treated and woven material possibilities, aimed to inspire a trend informed audience and appeal to various, design sectors. Photography of sprinkled make-up powders ignites an inceptive and curious material enquiry into the aesthetics of powder and gloss. The collection developed through treatments of acquired and hand-woven fabrics. Layering, trapping, coating and tufting processes created materials, which evoked atmospheric qualities and had a high tactile appeal.